Understanding the dynamics of collective human attention has been called a key scientific challenge for the information age. 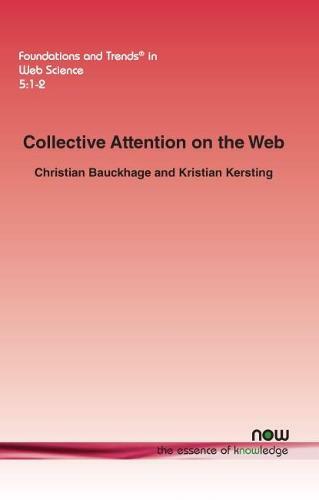 Tackling this challenge, Collective Attention on the Web explores the dynamics of collective attention related to Internet phenomena such as Internet memes, viral videos, or social media platforms and Web-based businesses. To this end, it analyzes time series data that directly or indirectly represent how the interest of large populations of Web users in content or services develops over time. Regardless of regional or cultural contexts, it generally observes strong regularities in time series that reflect attention dynamics and it discusses mathematical models that provide plausible explanations as to what drives the apparently dominant dynamics of rapid initial growth and prolonged decline.